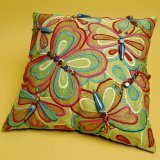 Butterfly Housewares - Items for your home and garden. Decor - Home decor categories include pillows, rugs, lighting, and wall decor of many types. Lighting - Beautiful butterfly lamps, candles and candle accessories to decorate your home and light up your life. Garden - A wide variety of items for your garden, yard or patio including a listing of plants sure to attract butterflies. Kitchen - From bakeware to towels... a listing of items that you kitchen can't be without. 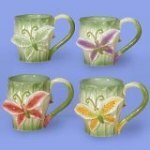 Magnets - Decorative and functional, these butterfly magnets are sure to brighten up your refrigerator. Mousepads - Mousepads make great gifts! I offer a selection of butterfly themed mousepads, created from my original photos.